This handcrafted stretched canvas of Gustav Klimt, 'The Kiss' is a museum quality reproduction of the original work. Shipped to you finished and ready-to-hang, it is a welcome addition to any type of decor. This canvas art is being custom built for you. Please allow 10 business days for the product to leave our warehouse. 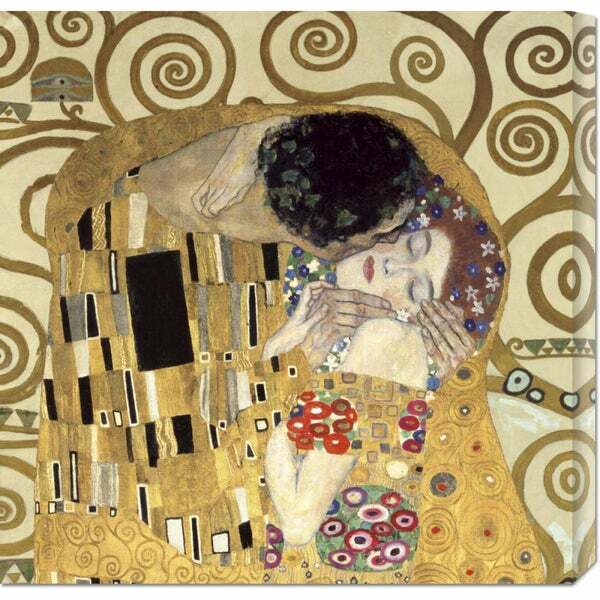 The Kiss by Klimt is an amazing canvas. It is as described on this site and arrived fast. I absolutely LOVE it. Thanks a lot.